One of my favourite things in the world is travelling, and within the travel experience sometimes flying could be very unique. It is a time to relax, have a drink, read or watch a movie. I also love spotting other aircrafts from my window since I am a bit of a plane freak. When I found out about Hekla Aurora, I immediately thought I had to post about it. ‘Hekla’ is a traditional Icelandic girl’s name and the name of a famous volcano. ‘Aurora’ is a reference to the northern lights. This Boeing 757 flies the northern lights across the Atlantic every day of the year. 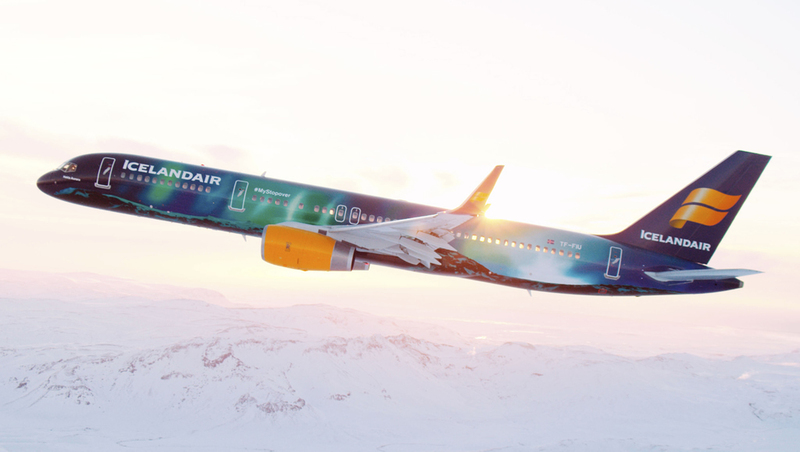 The new livery is part of the Icelandair Stopover campaign. This option allows you to stop over in Iceland for up to seven nights at no additional airfare on your way between Europe and North America. I think it’s an excellent campaign to promote such an amazing country. Maybe I will get an invitation after my meticulous post, who knows…. 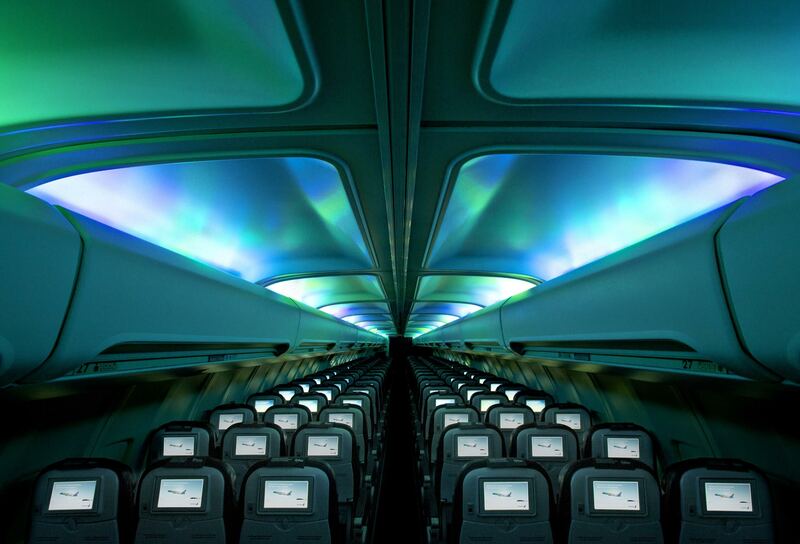 The interior is illuminated with one-of-a-kind mood lighting recreating the display of the Aurora Borealis. There’s also a Wi-Fi connection. You can find the three day planned schedule for Hekla Aurora on the website. Now I just need to spot it!! Check out the following videos about the painting process and the on board experience. For more information visit Icelandair or Facebook.